What’s in your air? Find out with reliable indoor air quality testing in Los Angeles CA from H2 Environmental. Did you know that the air inside a building is typically about 2 to 5 times dirtier than the outdoor air? You probably spend 90 percent of your day indoors, so naturally you should be concerned about this. Fortunately, H2 Environmental can help you create a plan for cleaning your indoor air. It all starts with indoor air quality testing in Los Angeles CA to identify the problems on your property. If the results of your indoor air quality testing in Los Angeles CA confirm the presence of a dangerous pollutant, we will help you remove it from your environment. For example, if you have asbestos or mold, we can coordinate professional remediation services from qualified contractors. 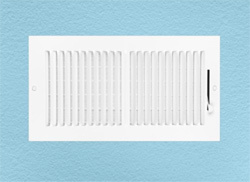 Installing HEPA filters in your HVAC system can also help remove some types of pollutants from your indoor air. In any case, you can rely on the expert environmental consultants at H2 Environmental to recommend an appropriate and effective strategy to clean your indoor air. If you want peace of mind that your indoor air is healthy, the best thing to do is call H2 Environmental at (800) 524-3578 and request indoor air quality testing in Los Angeles CA. We will send a qualified professional to help you ASAP.